2 Colour construction, Black with White Accents. Each chip has a Shiny Gold Foil printed number '100' on BOTH sides. These High Quality Suited Numbered 12g Poker Chips are a classic 2 colour construction made from high grade ABS composite material. 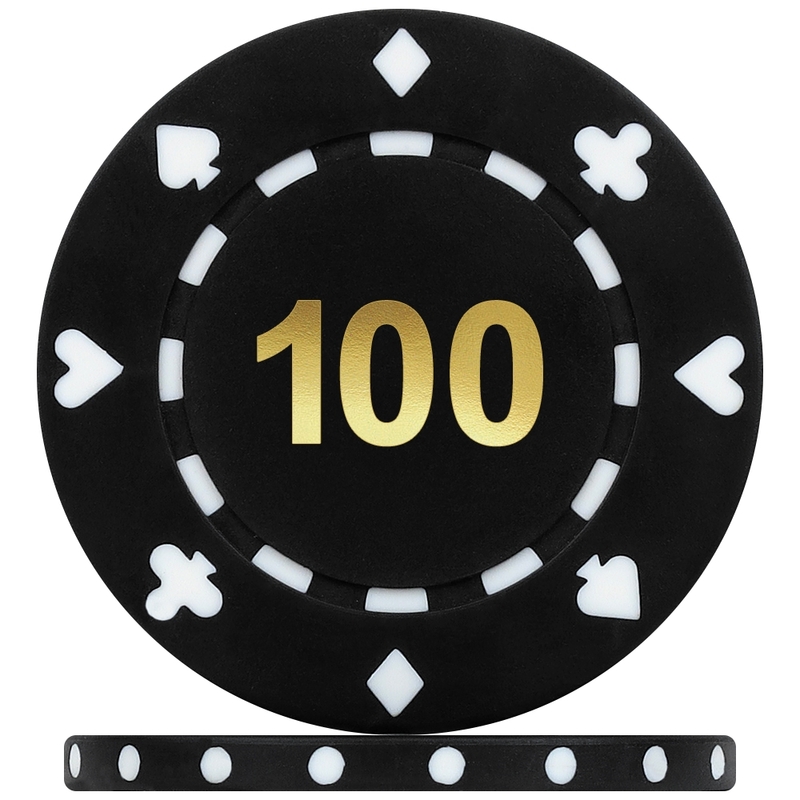 Each Black chip comes with a Shiny Gold Foil printed number '100' on both sides and features a pair of White Hearts, Clubs, Diamonds and Spade suited design and edge spots.